STIHL is a major brand that sells outdoor handheld power equipment, whether trimmers, blowers or chainsaws. The handheld equipment from the manufacturer is designed with unparalleled standards, which have transformed STIHL into a big name in outdoor power equipment. The STIHL brand is one of the reputed chainsaw brands in the world. Find out how to choose the right chainsaw from a STIHL dealer. You need to choose a chainsaw that matches the type of project that you are handling. Decide whether you are cleaning up the damages after the storm, felling trees or trimming limbs. There are various types of chainsaw models, cutting chains and guide bars from STIHL. You need to read the manual of these chainsaws and then you can choose the perfect chainsaw according to your needs. It is suggested to avoid using overloading powder for the chainsaw and if you use the automatic chainsaw then you must maintain the safety measurements. How would you Choose the Best Chainsaw? Size of project: STIHL has a wide variety of chainsaws that are designed for jobs of various sizes. If it is a larger project, you should choose a chainsaw that has a more powerful motor and is more solid in construction to be able to handle the operations. For smaller projects, a chainsaw with a smaller motor can be used. In case you feel that the project is beyond your experience or knowledge, it is best to hire a professional. They can suggest you the best chainsaw according to your needs. Power source: There are battery-powered, electric-powered and petrol-powered chainsaws from STIHL. You have to pick up a chainsaw depending on your needs for weight, ease of starting, mobility and ongoing as well as initial costs. 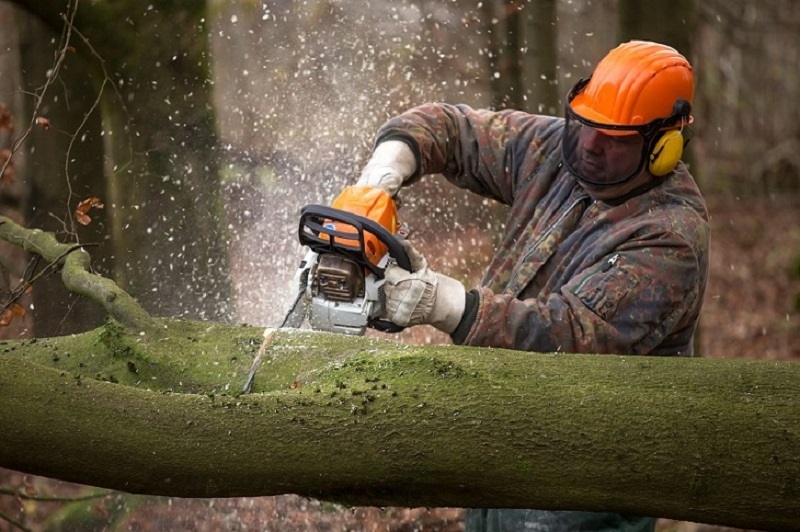 You can do many tasks with a powerful chainsaw such as removing trees, cutting limbs, prune trees and moreover you can also cut the tree stumps with a chainsaw. Frequency of usage: Any standard homeowner chainsaw can be sufficient if you need a chainsaw for just light felling or removing limbs from trees from time to time. However, if you regularly need more widespread cutting, you would like to choose a landowner chainsaw range. Number of options: STIHL is a leading name in innovative chainsaw technology, and also offers various value-added options to offer extra comfort and better performance. Some of the features comprise of quick chain adjuster, chain oiling, automatic bar and Easy2Start. It is important to consult your STIHL Dealer regarding the type of chainsaw and they can assist you in finding the best saw as well as the most suitable gear and accessories to handle the job properly. Weight and dimensions: Make sure that the chainsaw from STIHL comes with a lower weight and is ergonomic in design – so that you can handle the device easily while cutting, trimming or pruning. A compact size will also ensure that it is easily portable so that you can take your chainsaw to some other places for cutting, landscaping or other jobs. Type of technology: Make sure that the chainsaw comes with the latest technology, so that you can handle complex and extensive projects very conveniently. Irrespective of how overgrown the stuff to cut is or the size of the plot that you need to deal with, saws with cutting edge technology can be very useful. Technologically advanced saws come with better maintenance and guidance. The size of the motor or engine in the saw should also be an important factor for you to consider. Those with larger and more powerful engines can be used for dealing with more extensive and bigger cutting projects. For more details you can contact with the dealers or you can search these chainsaws online. Then you can read the features and customer feedback of these chainsaws and choose a perfect one for your needs.